Comic chaos unfolds in this witty ballet of magic, mayhem & mistaken identity! Franz and his reporter finance Hildy, are curious about the beautiful girl, Coppélia. Hildy begins to suspect things are not all that they seem... She and her friends follow the seemingly perfect starlet, arriving at Dr Coppelius laboratories. Inside, they stumble upon a magical and strange world, uncovering secrets that will change them forever! Setting the much-loved story at a County Fair, choreographer Morgann Runacre-Temple (Carmen, Romeo & Juliet), with writer Stella Feehily, have re-interpreted this witty and pertinent ballet inspired by the eternal obsession with youthful perfection. 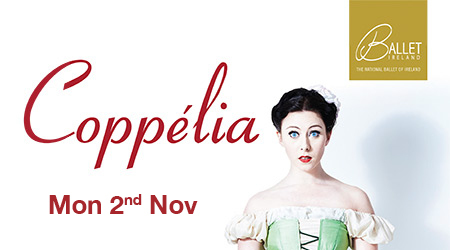 With its nod to the movie glamour of yesteryear, its captivating dance and the charming music of Léo Delibes and Tom Lane, Coppélia will enchant and enthral audiences of all ages.